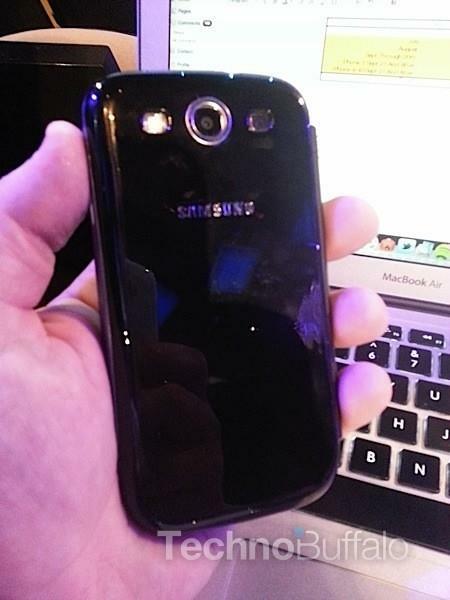 We sat down next to a dear old friend of ours today who randomly had T-Mobile’s glossy black Samsung Galaxy S III in his hand. We first saw the device surface on T-Mobile’s website just last night, and it’s going to launch in Europe in the coming weeks, but we hadn’t seen one for ourselves just yet. So, in natural TechnoBuffalo fashion, we figured we’d grab a few quick pictures for you. 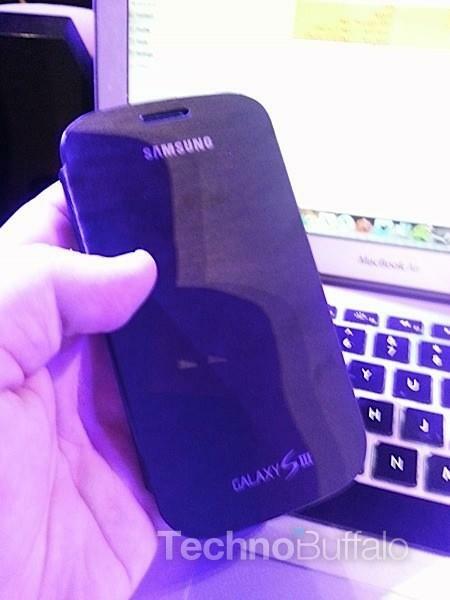 The device had on a black cover – the same ones that Samsung already sells, but the front face was black and our buddy said the original back cover looks just like the case (but has the T-Mobile logo and lacks the protective flap). 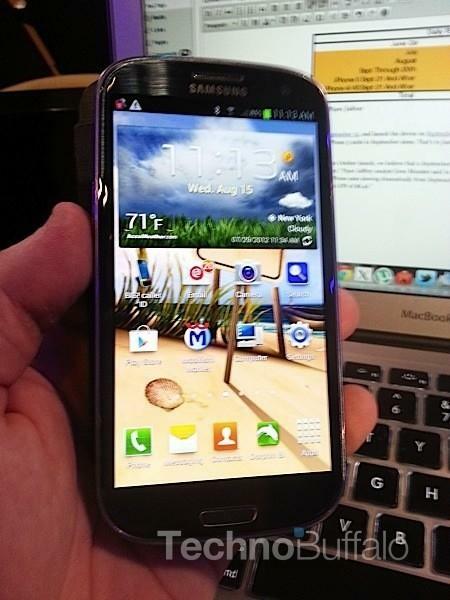 Here’s where we were surprised: he said he has had the phone for three weeks and that he had also had a Sprint model for a little while. 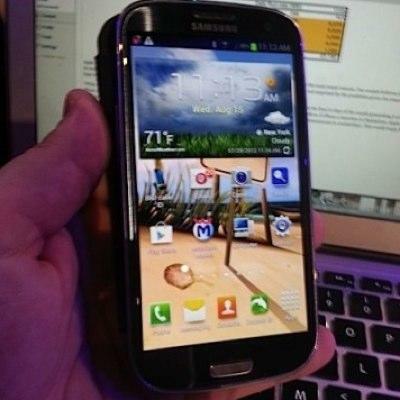 Sprint and T-Mobile haven’t officially announced black models of the Galaxy S III, but we can definitely say it’s worth waiting for if you haven’t purchased the phone yet. We apologize in advance for the blurry shots, we had to shoot it with our phone camera because we only had a few seconds with the device. Check out our small gallery below. 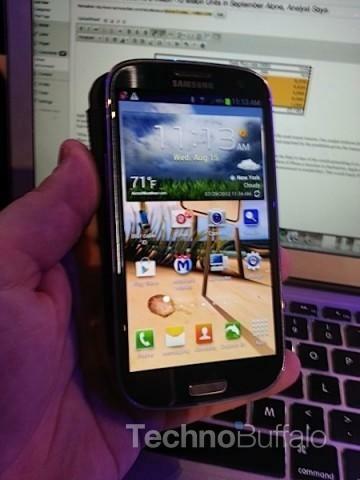 Update: T-Mobile just confirmed with us, oddly, that it’s not going to launch a black model of the Galaxy S III (even though we just played with one). We’ll keep you updated if this changes.